Browsing the magazine and book section of one of my local Op Shops yesterday, (that's Charity or Thrift store, depending on which country you live in) I came across a copy of Sew Beautiful magazine, and spied these paper dolls, still in tact. I love the way the doll has her own doll. 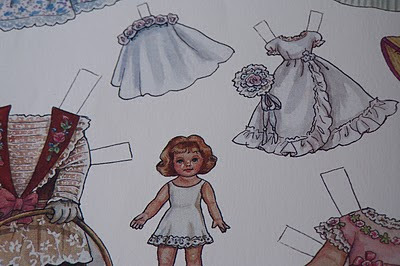 The doll's doll has her own wedding outfit. 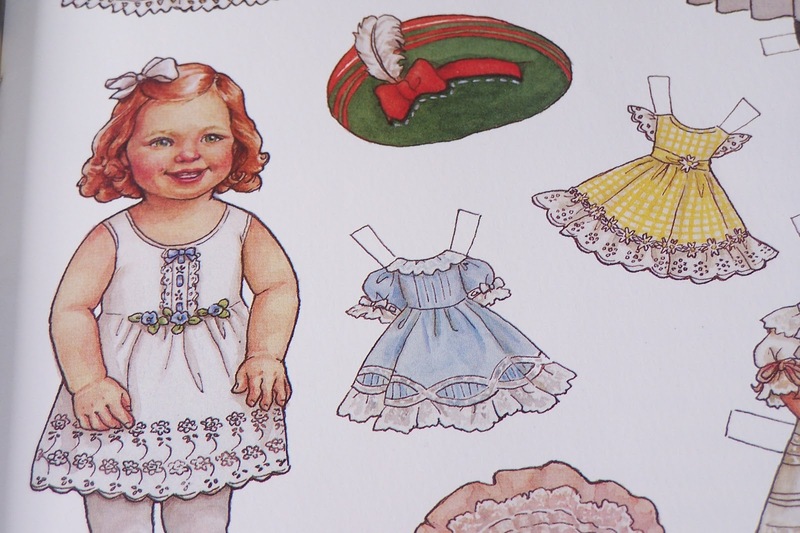 If you can get your hands on a copy of issue no 72, 2000 of Sew Beautiful, you will get to see all of the outfits. They take up 2 pages of the magazine and are printed on card. I remember collecting paper dolls when I was a child! You've inspired me with happy memories!